Recently, I watched the movie,Devar magan.I have watched the movie umpteen times before,but this time it had a big impact on my mind.Perhaps, I have matured with age.What a stupendous movie it is??? But I still feel it didn't receive the kind of accolades that it should have received.For that matter many of Kamal's movie had suffered similar fates,notable examples being "Anbe Sivam" and "Hey Ram". The major fact that the movie had a bigger impact on me this time is the performance of the legendary thespian Sivaji Ganesan who plays the role of Kamal's father.It was a treat watching the actor perform.I staunchly believe that this movie is his best work till date.Many would disagree.Of course he has given us some superb movies like "Vietnam Veedu","Veerapaandiya Kattabomman","Rajapaart Rangathurai",to name a few.But Devar Magan ranks atop for the sheer fact that none of his other performances have been as natural as this one.For a change, Kamal Haasan was completely over shadowed in all the scenes that he appears along with Sivaji.In my opinion apart from Kamal and Bharathiraja(in "Mudhal Mariyathai") no one has utilised Sivaji better in his later years as an actor. When you have Amitabh Bachan doing variety of roles in his later years I sincerely pity for Sivaji Sir that we haven't been able feed his thirst for good roles. While waching the movie two scenes caught my attention.The first one is when Sivaji asks kamal to do something good for his people.His expressions and dialogue delivery are absolutely chanceless.The second one is the scene when Kamal asks the "Kanakku Pillai" to cancel his ticket. 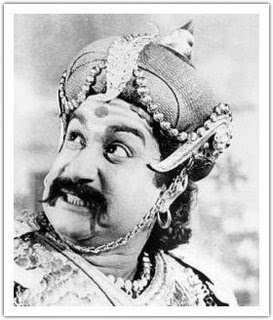 One thing is for certain.Tamil Cinema certainly misses this great actor who could have given much more than what he has delivered.